behavior has significant negative effect on evacuation time. This study helps to improve the evacuation strategy for children, the internal layout and exit arrangement for buildings where many children congregate. In the aftermath of the September 11th attack, design of tall buildings particularly in the aspect of safety systems and structural robustness, arguably the most crucial issues that is deliberated till to date. building design legislation remain unknown. For developing countries such as Malaysia and United Arab Emirates, tall buildings play a role as an iconic landmark. While countries like China and Hong Kong, tall building is needed due to the scarcity of land and high populations. As more than one hundred tall structure exists in the world, and will be increasing by 2020; therefore, it is urgently needed that existing engineering practices in designing tall building to be reviewed with respect to evacuation egress. The main objective of this paper is to create awareness among developers, consultants and contractors that proper evacuation egress in tall building design and development is a must. This paper provides a comprehensive review of the existing engineering practices on tall building evacuation planning systems and design. Furthermore, the effectiveness of the currently proposed systems and its consideration amongst structural and safety engineers are also reported. behavior and identifying the most influential factors in their evacuation planning process to develop policy-sensitive pre-disaster plans for such events. As a response to this need, the current study investigates individuals’ evacuation decision behavior in the context of no-notice emergency events. Since it is highly expected that people will have heterogenous decision behavior in such situations, we first apply a clustering algorithm to classify them into three maximally homogeneous clusters. Then, cluster-specific multivariate ordered probit models are developed to estimate the likelihood of selecting any of the three options of ignoring the situation, seeking shelter at the place, and evacuating to a safe place. The model estimation results indicate that a wide spectrum of factors affect the evacuation decision including individuals’ socio-economic attributes, disaster characteristics, built-environment factors, and government evacuation order. Further, variations of estimated coefficients across the population clusters highlight the significant dissimilarities in decision behavior of their associated members. Emergency signage is important for safe escape when unexpected events (such as fires) occur. However, there are limited data on the difference in the effect of emergency signage on way finding processes between individual and group conditions. This paper aims to reveal how participants alone or in groups detect and accept the information conveyed by a signage system through an experiment in buildings. One hundred nineteen volunteers participated in the experiment, which included individual and group evacuation conditions. There were six decision points along the movement path where participants could select egress routes according to signage. Posttrial questionnaires and video recordings were used to derive the number of participants whose route choice was according to signage and to derive the decision time. Results demonstrate that both signage detection and acceptance probabilities under individual conditions are larger than those under group situations, because of social influence in groups. High‐placed signs have a positive effect on route choice, especially under individual conditions. Decision time for participants whose decisions are principally according to signs is not always smaller than that for participants whose decisions are not according to signs, eg, in group situations. These findings have implications for group evacuation modeling and signage design in buildings. Adaptive kinetic architecture has emerged from a need for innovative designs that adapt to the environment and changing needs of the occupants. Architectural design and modes of egress are critical in an emergency. Flocking describes a certain collective behavior where agents are brought together in groups and move as a cohesive unit from place to place. Collective behavior may be observed in microscopic as well as macroscopic environments. Crowd modeling incorporates the study of human behavior, mathematical modeling, and molecular or fluid dynamics. The simulation of agents and their movement in the built environment is beneficial for design professionals, scientists, and engineers. Human behavior in panic situations is notably similar to fluids and molecules. The objective of this research was to evaluate the movement of agents in buildings using discrete dynamic simulation. We used a novel discrete molecular dynamics technique to simulate the evacuation of agents in panic situations. Various adaptive geometric configurations were analyzed for improved crowd flow. Kinetic walls were modeled in order to evaluate design optimization as it relates to rates of egression. This research proposes the use of kinetic walls to improve safety and efficiency during an emergency evacuation. Adaptive geometric configurations show improvements over the conventional design framework. 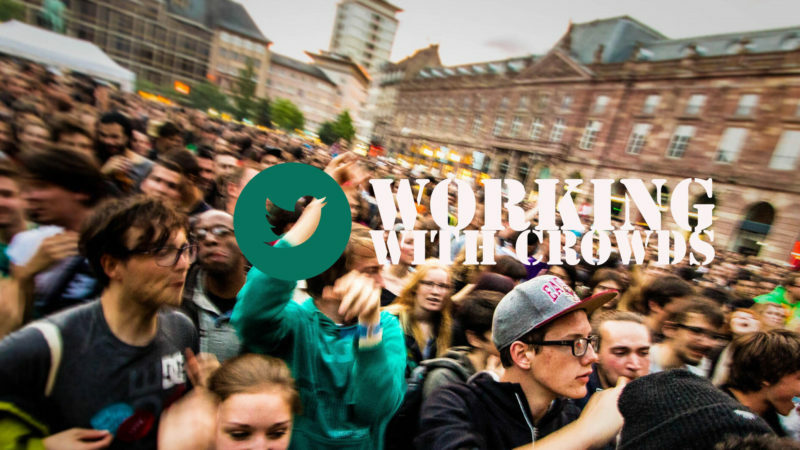 The problem of evacuating crowded closed spaces, such as discotheques, public exhibition pavilions or concert houses, has become increasingly important and gained attention both from practitioners and from public authorities. This kind of problem can be modeled using Agent-Based Model techniques and consequently simulated in order to study evacuation strategies. In this paper, we show the Fira of Barcelona evacuation model implemented with Care HPS. As a main contribution: i) we extend and added new partitioning approaches and other features in Care HPS to carry on this model; and ii) we figured out that crowd evacuation problem has bottlenecks in reality, such as exits, that required more deep optimization in code in order to decrease the total execution time. Finally, we draw some conclusions and point out ways in which this work can be further extended. Grouping behaviour occurs often in crowd evacuation. On the one hand, groups are needed for efficient evacuation. On the other hand, large uncontrolled groups (herds) may cause clogging and increase panic. The mechanisms of emergence of leaders and groups in complex socio-technical systems with intelligent technical components are not well understood. This paper presents the first attempt to unveil the role of AmI technology in formation of spontaneous groups in crowd evacuation. To this end several hypotheses were formulated, which were tested by simulation experiments based on a cognitive agent model. The checking of the hypotheses was done in the context of a train station evacuation scenario. The general outcome is that in a system with scarce and uncertain information, AmI technology can be used to stimulate emergence of leaders and groups to increase the efficiency of evacuation. Furthermore, a large penetration rate of ambient devices may be unnecessary and even not appropriate for fluent evacuation. Until now, the evacuation of wheelchair users from buildings in an emergency condition, cf. a re, has not been considered enough. 1. In the range that crowd density is 2-8 [people/m2] the ow coef cient increases as the density increases. 2. The ow coef cient decreases as the wheelchair users mixing rate in the crowd increases, but inclination of decrease becomes gradual. 3. The width of door has little effect on the ow coef cient. 4. The ow of a self-moving type wheelchair is smoother than the assisted moving type. As a result of this study, we proposed a calculating formula using ergonomics factors, personal occupation area, crowd speed and the wheelchair users mixing rate, which shows nearly the same downward tendency as our experiments indicated. The layout of a building, real or virtual, af- fects the flow patterns of its intended users. It is well established, for example, that the place- ment of pillars at proper locations can often fa- cilitate pedestrian flow during the evacuation of a building. Such considerations are therefore important for architects, game level developers, and others whose domains involve agents navi- gating through buildings. In this paper, we take the first steps towards developing a simulation framework that can be used to study the opti- mal placement of architectural elements, such as pillars or doors, for the purposes of facilitat- ing dense pedestrian flow during the evacuation of a building. In particular, we show that the steering algorithms used to model the local nav- igation abilities of the agents significantly affect the results, which motivates the need for a sta- tistically valid approach and further study. This paper deals with the optimal allocation of routes, destination, and departure times to members of a crowd, for instance in case of an evacuation or another hazardous situation in which the people need to leave the area as quickly as possible. The generic approach minimizes the evacuation times, considering the demand dependent waiting times at bottlenecks within the considered infrastructure. We present the mathematical optimization problem for both the optimal instructions, and the continuum model describing the pedestrian flow dynamics. The key contribution of the approach is that it solves the evacuation problem considering the entire solution space in a continuous manner (i.e. both the time dimension and the routing), implying that for each location and for each time instant the optimal path towards the most favorable exit is calculated, taking into consideration the traffic flow operations along the routes. The approach is generic in the sense that different network loading models can be used, and that a variety of components can be added to the optimization objective without loss of generality. Next to presenting the framework and the mathematical model, we propose an iterative numerical solver to compute the optimal instructions. We demonstrate the abilities and opportunities of this optimization framework with two case studies. We present a new approach to handle uncertain combinatorial optimization problems that uses solution ranking procedures to determine the degree of robustness of a solution. Unlike classic concepts for robust optimization, our approach is not purely based on absolute quantitative performance, but also includes qualitative aspects that are of major importance for the decision maker. We discuss the two variants, solution ranking and objective ranking robustness, in more detail, presenting problem complexities and solution approaches. Using an uncertain shortest path problem as a computational example, the potential of our approach is demonstrated in the context of evacuation planning due to river flooding. In prescriptive fire protection designs of buildings, exit location is generally designed with the constraint of the maximum travel distance. And the optimal exit location has not been given enough attention to in performance-based fire protection designs of buildings. However, in order to improve the reliability of successful evacuation, the optimal exit location for minimizing evacuation time should be studied with consideration of the uncertainty of initial occupant density. Due to the expensive computational cost, the surrogate-based optimization is proposed to search the optimal exit location, which combines the polynomial chaos expansion and genetic algorithm. The polynomial chaos expansion is used to construct the surrogate model of evacuation time and then genetic algorithm is applied to the polynomial chaos expansion of evacuation time to search the optimal exit location. In order to demonstrate the proposed method, a fire compartment of commercial buildings with two exits is presented. The results of this case study suggest that the optimal layout of two exits with the same size should be distributed symmetrically and the optimal exit location is different for different probability levels. When the probability level of successful evacuation is low with two narrow exits, the better method is merging two exits into be one exit around the center of the wall, which is also consistent with that determined by minimizing the maximum travel distance. However, when the probability level of successful evacuation is high with two narrow exits, the optimal location of two exits should be around two corners of the wall in this case. This proposed method can be used to find the suitable exit location under uncertain initial occupant density, which provides a reference for the performance-based design of building exits. The merging of pedestrian streams is a common phenomenon in pedestrian traffic and evacuation. However it is prone to stampede and can cause immense human and economic damage because of the unreasonable merging strategy. This paper establishes a bidirectional pedestrian flow merging model based on social force model to study the effect of the ratio of the branch inflow to the total inflow on evacuation efficiency of pedestrian merging at a T-junction. The moving characteristics of pedestrian, pedestrian average speed and maximum value of density in different ratios were acquired. The most favorable ratio for evacuation was obtained by the thorough analysis. The results of this work can provide some references for controlling the merging of pedestrian streams at T-junctions during evacuation, and is contribute to propose some related controls and optimization measures to ease the congestion causing by merging, thereby increasing the evacuation efficiency. Romanian fire safety regulations concerning the rooms with high density of people, as conference halls, auditoria, theatres, are based on prescriptions. The Eurocode SR EN 1991-1-2 allows the application of alternative design employing CFD methods, without specifying any further guidance to their practical praxis. This study case is intended to give a better insight of the use of CFD for a code compliant fire safety design. The results from the hand calculation of the available safe egress time are compared with the numerical simulations results in order to prove that the proposed ventilation strategy is in line with the fire safety code requirements. Accidents and natural disasters such as fire and earthquakes post more and more threats to the transportation infrastructures. Under such circumstance, the evacuation process for the crowded pedestrians in these infrastructures may be affected by the facility failure, resulting in partially damaged evacuation network, which at last forms bottlenecks and decreases the evacuation efficiency. Thus to improve the safety and comfortable level of crowd evacuation in transportation infrastructures, a new method of bottleneck identification and evaluation for evacuation network is proposed. The proposed method takes into account the facility failure induced crowd redistribution and explores the structure importance of the evacuation network component. The method of bottleneck identification is also applicable to other similar transportation networks. The lonelier evacuees find themselves, the riskier become their wayfinding decisions. This research supports single evacuees in a dynamically changing environment with risk-aware guidance. It deploys the concept of decentralized evacuation, where evacuees are guided by smartphones acquiring environmental knowledge and risk information via exploration and knowledge sharing by peer-to-peer communication. Peer-to-peer communication, however, relies on the chance that people come into communication range with each other. This chance can be low. To bridge between people being not at the same time at the same places, this paper suggests information depositories at strategic locations to improve information sharing. Information depositories collect the knowledge acquired by the smartphones of evacuees passing by, maintain this information, and convey it to other passing-by evacuees. Multi-agent simulation implementing these depositories in an indoor environment shows that integrating depositories improves evacuation performance: It enhances the risk awareness and consequently increases the chance that people survive and reduces their evacuation time. For evacuating dynamic events, deploying depositories at staircases has been shown more effective than deploying them in corridors. In this paper, we consider the route coordination problem in emergency evacuation of large smart buildings. The building evacuation time is crucial in sav- ing lives in emergency situations caused by imminent natural or man-made threats and disasters. Conventional approaches to evacuation route coordination are static and predefined. 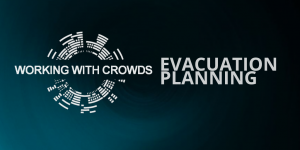 They rely on evacuation plans present only at a limited number of building locations and possibly a trained evacuation personnel to resolve unexpected contingencies. Smart buildings today are equipped with sensory infrastructure that can be used for an autonomous situation-aware evacuation guidance optimized in real time. A system providing such a guidance can help in avoiding additional evac- uation casualties due to the flaws of the conventional evacuation approaches. Such a system should be robust and scalable to dynamically adapt to the number of evac- uees and the size and safety conditions of a building. In this respect, we propose a distributed route recommender architecture for situation-aware evacuation guidance in smart buildings and describe its key modules in detail. We give an example of its functioning dynamics on a use case. Collective egress comes into play during emergencies such as natural disasters or terrorist attacks, when rapid egress is essential for escape. An important aspect of collective egress under emergency conditions is the turning movement when a sudden change in the direction or the layout of the escape area occurs. Previous case studies of crowd disasters have highlighted the importance of such turning movements; however, both qualitative and quantitative studies seldom address this phenomenon specifically for emergency and panic situations. The paucity of complementary data on human panic presents a considerable challenge to undertaking quantitative analysis. The study described in this paper uses empirical data from real-life video footage of a crowd stampede and from panicking ants, paired with a simulation model, to demonstrate how potential problems and consequences of turning movements during collective dynamics can be studied. 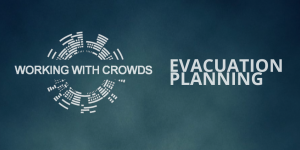 With this modeling tool, it may be possible to develop evacuation strategies and design solutions that can prevent stampedes and trampling, which occur when large groups of people try to escape from confined spaces where escape path directions abruptly change. Humanitarian logistics principles for emergency evacuation of places with many people. This paper focuses on designing a tool for guiding a group of people out of a public building when they are faced with dangerous situations that require immediate evacuation. Despite architectural attempts to produce safe floor plans and exit door placements, people will still commit to fatal route decisions. Since they have access to global views, we believe supervisory people in the control room can use our simulation tools to determine the best courses of action for people. Accordingly, supervisors can guide people to safety. In this paper, we combine Coulomb’s electrical law, graph theory, and convex and centroid concepts to demonstrate a computer-generated evacuation scenario that divides the environment into different safe boundaries around the locations of each exit door in order to guide people through exit doors safely and in the most expedient time frame. Our mechanism continually updates the safe boundaries at each moment based on the latest location of individuals who are present inside the environment. Guiding people toward exit doors depends on the momentary situations in the environment, which in turn rely on the specifications of each exit door. Our mechanism rapidly adapts to changes in the environment in terms of moving agents and changes in the environmental layout that might be caused by explosions or falling walls. Situasi bencana, yang berlaku secara semula jadi (kebakaran, banjir, taufan) atau buatan manusia (contohnya pengeboman pengganas, tumpahan bahan kimia, dan lain-lain), telah meragut ribuan nyawa, mencetuskan keperluan untuk pemindahan kecemasan. Biasanya, mengoptimumkan pelan pemindahan kecemasan melibatkan berkesanan pemodelan orang ramai dan pemilihan laluan, dimana pelan yang optimum penting dalam masalah perancangan laluan kecemasan (ERP). Pelbagai pendekatan ERP telah dibangunkan dimana diklasifikasikan kepada pendekatan matematik, keputusan sokongan, heuristik, dan meta-heuristik. Ulasan kesusasteraan menyeluruh telah menunjukkan kepentingan untuk merapatkan jurang antara pemodelan dan pemilihan laluan, di mana di mana pendekatan bersepadu dan berdaya maju diperlukan. Dalam kajian ini, satu perancangan pemindahan rangka kerja bersepadu menggunakan model pemindahan orang ramai dan sistem imun (AIS) algoritma tiruan, yang dipanggil iEvaP, telah dicadangkan. iEvaP telah disahkan terhadap Luet al. (2003) dan parameternya telah ditentukan untuk prestasi yang optimum. Di samping itu, untuk merakamkan dinamik dalam orang ramai yang mimik keadaan dunia sebenar, dinamik perpaduan kumpulan dimasukkan dalam rangka kerja ini, dipanggil iEvaP+, membaik pulih pemindahan bersepadu merancang dengan dinamisme. Pendekatan ini telah diuji ke atas data awam dan keputusan telah menunjukkan akan pemindahan pelan yang telah mencatatkan peningkatan sehingga 62% berbanding dengan pendekatan kapasiti dikekang perancang laluan (CCRP) yang dicadangkan oleh Lu et al. (2003). Selepas itu, iEvaP+ juga digunakan untuk dua kajian kes untuk menilai keberkesanan dan kebolehan dinaiktaraf dengan keadaan dunia sebenar. Keputusannya telah menunjukkan pelan pemindahan telah memperolehi peningkatan statistik yang ketara (p-value ≤ 0.05091 dalam sebahagian besar keputusan) berbanding dengan pendekatan CCRP. Disaster planning and response to a mass casualty incident pose unique demands on the medical community. Because they would be required to confront many casualties with bodily injury and surgical problems, surgeons in particular must become better educated in disaster management. Compared with routine practice, triage principles in disasters require an entirely different approach to evaluation and care and often run counter to training and ethical values. An effective response to disaster and mass casualty events should focus on an “all hazards” approach, defined as the ability to adapt and apply fundamental disaster management principles universally to any mass casualty incident, whether caused by people or nature. Organizational tools such as the Incident Command System and the Hospital Incident Command System help to effect a rapid and coordinated response to specific situations. The United States federal government, through the National Response Plan, has the responsibility to respond quickly and efficiently to catastrophic incidents and to ensure critical life- saving assistance. International medical surgical response teams are capable of providing medical, surgical, and intensive care services in austere environments anywhere in the world. Events draw large crowds of people together within defined spaces and as such have the potential to have significant impacts. Occupational health and safety requirements, legal duty of care, and the capacity of organizations to deal with risks and crisis are important considerations for the sustainability of event organizations and events themselves. To date there has been a paucity of research analyzing the adoption and implementation of event risk management by event organizers, and in particular the influence that managerial attitudes and beliefs may have on the implementation of risk planning behavior. This article aims to identify event managers’ attitude and beliefs concerning risk management as well as explore social influencers and perceived constraints to implementing risk management planning. The research adopts a qualitative methodology to address the research aim and uses Ajzen’s theory of planned behavior (TPB) as a framework for exploring event managers’ risk, attitudes, beliefs, and perceived constraints. Semistructured interviews with 11 event managers were undertaken, drawn from South East Queensland, Australia. Respondents had positive event risk planning attitudes, which were influenced by beliefs relating to safety, compliance, decision making, and professionalism. However, seven perceived constraints were also identified as important in influencing risk planning in an event context. The findings suggest event managers’ attitudes, beliefs, and perceived constraints vary considerably based on previous experience, size of event organization, and level of professionalism. The article discusses these findings and recommends future research to inform more sustainable event practices in the future. Since the 1970s, security planning has become an integral and required part of bidding documents and preparation for hosting sporting mega events, most notably the summer Olympic and Paralympic Games. Drawing on a multidisciplinary conceptual framework derived from prior experiences of security operations at major sporting events and historical counter-terrorism experiences of London, the paper unpacks the socio-spatial implications of security measures intended to secure the 2012 Games. In particular, it highlights the threat posed against ‘crowded places’ from international terrorism as well as possible surveillance, design or managerial measures that are to be deployed to make such sites more resilient to terrorist attack. This, it is argued, both converges with standardised Olympic security models and diverges at important points, related to the pre-existence of capacity in urban counter-terrorism onto which 2012 security will be overlaid or laminated. The paper also highlights the increased use made of security for ‘legacy’ purposes. This paper reviews the actual and potential use of social media in emergency, disaster and crisis situations. This is a field that has generated intense interest. It is characterised by a burgeoning but small and very recent literature. In the emergencies field, social media (blogs, messaging, sites such as Facebook, wikis and so on) are used in seven different ways: listening to public debate, monitoring situations, extending emergency response and management, crowd-sourcing and collaborative development, creating social cohesion, furthering causes (including charitable donation) and enhancing research. Appreciation of the positive side of social media is balanced by their potential for negative developments, such as disseminating rumours, undermining authority and promoting terrorist acts. This leads to an examination of the ethics of social media usage in crisis situations. Despite some clearly identifiable risks, for example regarding the violation of pri- vacy, it appears that public consensus on ethics will tend to override unscrupulous attempts to subvert the media. Moreover, social media are a robust means of exposing corruption and malpractice. In synthesis, the widespread adoption and use of social media by members of the public throughout the world heralds a new age in which it is imperative that emergency managers adapt their working practices to the challenge and potential of this development. At the same time, they must heed the ethical warnings and ensure that social media are not abused or misused when crises and emergencies occur. Attendance at outdoor music festivals is associated with an increased risk of injury and death. A considerable proportion of crowd-related risks are attributed to irrational and high-risk behaviour by patrons, especially in the general admission, or standing room only areas in front of stages, or ‘mosh pits’. Risk assessments for music festivals and mass gatherings generally tend to deal with the traditional hazards and risks found at most workplaces, without taking into account the dynamics of the crowd or those factors that influence its behaviour. Influences on crowd behaviour are little understood and generally ignored, leaving a significant source of risk at this type of event unaccounted for. A comprehensive approach to crowd safety assessment, design and management needs to integrate both psychological and engineering frames of reference. This paper outlines a model that can be used as the basis for developing a contextualised methodology and instrument for assessing crowd related risks at outdoor music festivals. Collaboration is a necessary foundation for dealing with both natural and technological hazards and disasters and the consequences of terrorism. is analysis describes the structure of the American emergency management system, the charts development of the Federal Emergency Management Agency, and identifies conflicts arising from the creation of the Department of Homeland Security and the attempt to impose a command and control system on a very collaborative organizational culture in a very collaborative sociopolitical and legal context. e importance of collaboration is stressed, and recommendations are offered on how to improve the amount and value of collaborative activities. New leadership strategies are recommended that derive their power from effective strategies and the transformational power of a compel- ling vision, rather than from hierarchy, rank, or standard operating procedures. Improvisation is a significant feature of every disaster, and Tierney (2002) has argued that, ifan event doesn’t require improvisation, it is probably not a disaster. Improvisation has had something of a checkered history in the emergency management field since its appearance in a disaster response seems to suggest a failure to plan for a particular contingency. Even scholars who have recognized the value ofthis capacity have tended to subordinate it to planning. Kreps (1991: 34) for example, who has completed some of the most detailed studies of organizational improvisation in disaster, has defined improvisation as organizing “during an event,” while preparedness is organizing “before an event.” He has stressed that preparedness and improvisation are the “foundations” of emergency management (31), yet he nevertheless privileges preparedness, especially planning, as the favored element. Drabek (2001) too emphasizes the need for planning to reduce the incidence of(the inevitably necessary) improvisation. Thus improvisation occupies a somewhat conflicted space in the realm ofemergency and crisis management capacities: we plan in detail so that we don’t have to improvise, knowing that we will have to improvise. The purpose of this paper is to analyze scholarly discussions and findings regarding collaborative emergency management (CEM). Several aspects such as leadership, decision making, intergovernmental and interorganizational relations, technology applications in CEM have been investigated. The paper emphasizes that high expectations of public and stakeholders in emergency and disaster management require effective use of resources by collaborative networks. Emergency and disaster managers should be able to adopt their organization culture, structure and processes to the collaborative nature of emergency management. The paper focuses on a very important subject in emergency and disaster management using NEMN as example. The human race has been faced with natural disasters since it has evolved. In more recent timesit has had to contend also with technological disasters. Our interest is in how human beings have organizedthemselvescollectivelytodealwithsuchthreatsand damagestotheirlives,propertyand theireverydayroutines. Morespecifically,inaselectivefashionwediscusshowsocietiesandtheir subdivisions (particularlyat the local community level )have in the past and now prepare for and respond to natural and technologicaldisasters. This paper introduces two concepts—dialogical emergency management and strategic awareness—as means to use and understand the content of social media for the purpose of emergency communication. Dialogical emergency management denotes that the emergency management organizations follow what people publish in various social media on emergencies and ongoing emergency response, and then adjust their information strategies in a way that matches the expectations and needs for emergency information of the public. The concept of strategic awareness suggests that it is essential to have an understanding of the receiver (public) of emergency information but also to have an understanding of the receivers’ idea about the emergency and emergency response. Hence, the notion of strategic awareness incorporates structured awareness of how people interpret, value, and reacts on communication based on what they think about the sender’s (emergency management organization’s) actual intentions and motives. Postings from social media can be very valuable in emergency management, both for providing actionable information that is up to date and very detailed in terms of the location of problems needing attention, and in disseminating news and instructions to the public. However, many organizations are reluctant to use these media, or even have regulations prohibiting their use, because they do not feel that they are secure and trustworthy. This paper reviews studies of the use of social media in disasters, including the major issues raised. It then describes several recent studies related to the assessment of the trustworthiness of social media posts, including computational methods for automatically classifying the trustworthiness of posts. A combination of natural language processing of the content of posts and computational analysis of the characteristics of the authors provides promising directions for future research. The “next terrorist attack” has become one of the main fixtures of the collective imagination of catastrophic futures. Reflecting on a series of exercises and scenarios deployed to prepare for terrorist attacks, this article interrogates the co-constitution of temporality and spatiality in such practices. The main argument is that practices of preparedness enact a withdrawal of time, where the temporal uncertainty of the future event is displaced on the management of space. The separation of space and time implies that actions are not focused on understanding the conditions of possibility of the disruptive event but shift attention to the management of spaces and attention to behaviour that is considered out of place. The paper employs the combination of design thinking and product mapping approaches for building key skills and capabilities for technology management during the Fourth Industrial Revolution. It presents an overview of the literature of these two approaches, showing a gap in research that proposes their combination. It defines technology roadmapping planning as a human-centred complex problem and proposes a simple three-step sequence to assess when design thinking is applicable. The paper presents the results of using this approach in a business unit in a private non-profit research and development institute. One is the identification of six different, but interlinked, concepts of technology road-mapping that are relevant to stakeholders. The other is a ―Joint Planning‖ experiment, which suggests that road-mapping planning should rely on the co-creation of all relevant stakeholders and should take place in multiples points of the process, in order to grasp any new learning and context that may arise during the execution of the road-mapping initiative. The developments in the international security environment and technology in the last 20 years and the changes in crime and criminal profile on the other have had a significant impact on public safety management. While the main crimes continue by transforming, new types of criminals such as non- state actors, hackers, terrorists, suicide bombers have participated in the security environment. Developments in the internet, social media and smart phone technology have also had a major impact on criminal profiles. In this context, public security requires traditional police and intelligence methods to change and multi-disciplinary work, especially psychologists in order to fight against these criminals. For example, behavior specialists (profilers) are needed in the analysis for changing crimes and criminal profiles. Psychologists can help to explain a lot of unknowns ranging from following the potential criminals to identifying their intentions for next action. For this reason, we should try to work more on the psychological aspects of the changing types of criminals and to create a new culture on the possible contributions of psychologists to public safety. This article explores questions of justice and moral permissibility of state action in counterterrorism through Robert Nozick’s Anarchy, State, and Utopia. Using the case of the Berlin attack in December of 2016 and the ensuing political debate over whether potential terrorists could be put into preventive custody as an illustrative example, it engages Nozick’s argument on prevention, knowledge and justice. In Nozick’s fierce defence of individual rights, the state comes into being as an aggregate of individuals and their inviolable rights, and thus possesses no moral legitimacy of its own. Individual rights must therefore not be violated for the sake of common goods. In conjunction with his emphasis on free will and the ensuing unpredictability of human decision-making, the article highlights the Nozickian position as a powerful account against the justification of preventive custody, thereby providing a moral “fail-safe” in counterterrorism discourses that build on just war theory and utilitarianism. Pedestrian behavior models have successfully reproduced human movement in many situ- ations. However, few studies focus on modeling human behavior in the context of terrorist attacks. Terrorist attacks commonly occur in crowded public areas and result in a large number of casualties. This paper proposes a three-stage model to reproduce a series of com- plex behaviors and decision-making processes at the onset of an attack, when pedestrians generally do not have clear targets and have to deal with fuzzy information from the attack. The first stage of the model builds a Bayesian belief network to represent the pedestrians’ initial judgment of the threat and their evacuation decisions. The second stage focuses on pedestrians’ global assessment of the situation through an analogy with diffusion processes. The third stage uses a cost function to reproduce the trade-offs of distance, safety, and emo- tional impact when considering a path to take. The model is validated using a video from the November 2015 Paris attack. The behavioral characteristics and trajectories of three pedes- trians extracted from the video are reproduced by the simulation results based on the model. The research can be used to set rules when performing risk analysis and strategic defensive resource allocation of terrorist attacks using agent-based simulation methods. Are organizationally linked suicide attacks deadlier than those launched by lone wolf terrorists? This article elaborates a perpetrator-based distinction among suicide terrorist attacks between organizations and lone wolf terrorists, who operate in the absence of a financially or physically supportive terrorist organization. The expectation is that terrorist organizations would serve as commitment tools that increase the loyalty of suicide bombers to their missions through material and non-material incentives. Findings demonstrate that when terrorist organizations are involved in the planning and execution of suicide terrorist attacks, not only do they increase the lethality of these attacks but they also accentuate the tactical advantages of suicide terrorism. These findings suggest that despite the recent upsurge and concern about lone wolf terrorism, the lethality and security impacts of suicide terrorism continue to be driven by terrorist organizations. Why are some suicide terrorist attacks deadlier than others? Suicide bombers, unlike stationary bombs, are self-guided human weapons; they can deliver and detonate explosives at a specific time and place with precision. Coding and analyzing new data on over four hundred suicide terrorist incidents from all around the world between 1998 and 2015, this paper argues that the number of fatalities resulting from suicide attacks is a function of strategic choices made by the perpetrators, such as where to attack and whom to target. Results of this analysis show that suicide attacks that seize targets of opportunity are the most lethal. Specifically, suicide attacks that target civilians in enclosed and easily accessible places, and that are undertaken by multiple perpetrators result in the highest numbers of fatalities. Understanding these strategic tactical attributes of suicide terrorism is fundamental to devising effective counterterrorism strategies that aim at hardening soft targets and minimizing the lethal impact of these attacks. infrastructure and sponsors contribute to suicideoperations, they are not central. To this end, ef- forts to counter suicide terrorism should focuson ending radicalisation and/or indoctrination of individuals and communities. What explains the tremendous variation in targeting strategies between different terrorist organizations? This article examines the relationship between terrorist group objectives and strategies using a newly created data set of terrorist organizations. We hypothesize that the relative scope of a terrorist group’s motives – whether they are limited or maximalist – leads groups to choose different types of attack and targeting strategies. Specifically, we argue that groups with limited aims will utilize an attrition strategy, designed to inflict persistent pain that induces a government to concede policy objectives, while groups with maximalist goals will pursue a provocation strategy, designed to achieve important process goals for the group so that the group can eventually take what they want by force. Us- ing a newly built cross-national dataset of 69,540 attacks by 600 different terrorist organizations, we find that, indeed, groups with limited goals are more likely to use conventional weapons to attack civilian targets, while groups with maximalist goals are significantly more likely to utilize sensa- tional weaponry and launch attacks against government targets. Because of this emphasis on sensational weaponry, attacks by maximalist groups are more lethal, despite their focus on government (rather than civilian) targets. This research has important implications for our understanding of terrorist violence, demonstrating the crucial role motives play in structur- ing terrorist groups’ strategic incentives. In 2014, a militant group calling itself the Islamic State, or ISIS, burst into official and public attention with some military victories in Iraq and Syria—particularly taking overIraq’s second largest city, Mosul. At first the American public saw it as minor problem. But alarm greatly escalated a few months later when the group performed and webcast several beheadings of defenseless Western hostages, and by 2016, 77 percent said on polls that they deemed it to present “a serious threat to the existence or survival of the US.” This paper examines this phenomenon, comparing it with that generated a decade and a half earlier by al- Qaeda. The exercise suggests that, although the vicious group certainly presents a threat to the people under its control and in its neighborhood, and although it can contribute damagingly to the instability in the Middle East that has followed serial intervention there by the American military, it scarcely presents a challenge to global security. As with al-Qaeda, however, much of the unwarranted fear and alarm ISIS has generated is likely to persist even if it is effectively extinguished as a physical force in the Middle East—a process that is now well on its way. If people want to be afraid, nothing will stop them. There is growing interest in unmanned aircraft at the beginning of the 21st century in al- most all developed countries. Due to the revolutionary development of a set of technolo- gies, unmanned aerial vehicles (UAVs) may prove an efficient application for a wide spec- trum of military missions, many of which can be categorized as “the dull, the dirty, and the dangerous.”1 Because they carry no pilot, UAVs may be smaller in size and more cost ef- fective in operation than manned aircraft. Crowded places have been the target of terrorist attacks for many years. Their inherent nature has resulted in a vulnerability to a range of attacks, most notably the threat of vehicle- borne improvised explosive devices (VBIEDs). Government agendas have been seeking to reduce the extent of this vulnerability, by encouraging those who are responsible for the design, construction and operation of such places to incorporate counter-terrorism measures (CTMs) into their designs, and where necessary, retro-fit them into existing places. However, little is known about what measures can be used, as well as their performance and consequences. The aim of the research is therefore to identify the aforementioned range of measures through the development of a typology that also examines their relative performance and consequences for a range of scenarios, in order to inform key decision makers who are responsible for the protection of crowded places. Through the use of a qualitative research strategy and respective research methods, interviews, site visits and document analysis were carried out in both the UK and in the USA. A total of 47 participants were recruited for the research, with the collection of data spanning 16 months. A preliminary study was undertaken that determined a range of influences on whether crowded places are protected, as well as influences on the value of CTMs themselves. A theoretical framework was developed to capture and understand those influences. Conventional data analysis methods and internal validation techniques were used to subject the data to methodological rigour, ensuring the validity and reliability of the research. While the negative consequences of incorporating CTMs can be profound, every CTM that can be used has additional benefits; measures can be incorporated at no cost and can even generate revenue; and designing-in CTMs has a number of advantages over retro-fitting them. This research‟s contribution to knowledge in relation to methodology, empiricism,theory, industry, and policy has resulted in the creation of a significant amount of guidance for key decision makers who are responsible for the design, construction and operation of crowded places, as well as providing data on the benefits that can be gained from incorporating mitigative measures that is of interest to those who have a role to play in the design, construction and operation of the built environment more broadly. Recommendations for further research posit that greater understanding is needed in relation to the specific monetary costs of CTMs themselves, the experience of users of protected places, the implications of „invisible‟ CTMs, and the need for research into the assessment and incorporation of proportionality into the built environment. Practical recommendations put forward the need for clarification of legislation in relation to duties of care, the dissemination of the incentives to protect, and benefits of protecting, crowded places, the need for further debate and transparency regarding proportionality and what constitutes proportionate design, and the need to encourage greater engagement between stakeholders and the means through which this can occur. The research posits that legislative requirements encompassing the mitigation of terrorist attacks are apparent, and that therefore, organisations should incorporate CTMs into vulnerable places, yet as previously indicated, such CTMs do not have to cost anything. Since the September 11 attacks on the World Trade Center and Pentagon in the United States, the mix of authorities attending to emergency management issues has changed. Traditionally, emergency managers were often their commu- nities’ sole voices that were calling attention to needs for mitigation, preparedness, response and recovery planning (Drabek, 1987). Increased awareness of vulnerability to terrorist acts has both brought more actors into the arena and emphasized the need for coordination among their efforts. Thus, emergency managers at local, regional and federal government levels have been joined by law enforcement, military and policy makers in examining means of combatting terrorism. Much of this work places terrorism in the general context of understanding human behaviour under stress, logically drawing on the literature of natural and technological disasters. There have been calls for information sharing and cooperative planning among all these groups, and policy officials have added their voices to the process (Hoffman, 2001). There are many computer programs that model the consequences to built infrastructure when subject to explosive blast loads; however, the majority of these do not account for the uncertainties associated with system response or blast loading. This paper describes new software – called “Blast-RF” (Blast Risks for Facades) – that incorporates existing blast-response software within an environment that considers threat/vulnerability uncertainties and variability via probability and structural reliability theory. This allows the prediction of likelihood and extent of damage and/or casualties; information which will be useful for risk mitigation considerations, emergency service’s contingency and response planning, collateral damage estimation and post-blast forensic analysis. The global war on terror and 9/11 have brought to our attention the perpetual problem of freedom versus security. The more governments strive to provide security, the more they tend to curb the freedoms of their citizens. ‘Stop and search’ procedures, 28-day detentions of terrorist suspects without charge or new body scanners at the airports are just the ‘tip of the iceberg’ in a long list of the state’s encroachments into our private lives. This paper departs from such a seemingly inescapable predicament. It analyses the rote of the public in preventing, protecting and preparing for terrorist attacks under the British government’scounter-terrorism strategy known as CONTEST. It explores two social phenomena that are being increasingly promoted by official authorities in the United Kingdo, namely, mobilisation of society and what the author terms ‘civilianisation of security. The latter isdefined as a notion relating to non-military, voluntary organisations and the business/private sector. engaged by government but acting in its own right against terrorism threats.‘Civilianisation’ of security is also conceived of as a potential tool to bridge the gap between two incompatible worlds of state security and personal freedoms. The history of terrorism, most likely originated from the history of political violence yet the term terrorism is comparatively recent. This action is used for coercion, however, there is no unanimously agreed and internationally recognized definition to this action. Common definitions refer this phenomenon to the terrifying acts for any political and religious interest through targeting non-combatants (civilian). By this means, this action is politically and emotionally stimulated and hard to be defined through a single definition. This thesis critically interrogates the spatial politics of two ‘fronts’ of the UK’s on-going war on terror between 2007-2010: first, broadening national security, the extension of national security into non-traditional social and economic domains; and second, security in ‘crowded places’, counter-terror regimes in the UK’s public spaces. It responds to the neglect within security studies of the spatial politics of this conflict by considering the spatial performativities enabling these two contemporaneous iterations of national security. The first part applies critical geopolitics and biopolitics frameworks to a case study of the new National Security Strategy of the United Kingdom. It argues that UK national security reiterates the ‘interconnecting’ performativities of neoliberal norms as a ‘broadening’ understanding of national security which licenses a ‘broadening’ register of coercive policy responses. The second part carries out an exploratory case study of one such coercive policy response: security at the ‘crowded place’ of the BALTIC Centre for Contemporary Art in Gateshead. It identifies crowded places security as reliant on practices of emptying out and ‘zero-ing’ space, pre-emptive ‘zero tolerance’ risk imaginaries, and extensive surveillance – both electronic and ‘natural’. In other words, counter-terrorism is becoming increasingly important in shaping daily life in the UK through a diverse range of spatial control practices.